Today I am daydreaming about an early spring garden. It would be against the south-facing stone wall, for winter protection and early warmth. The sun would embrace it from dawn to dusk. 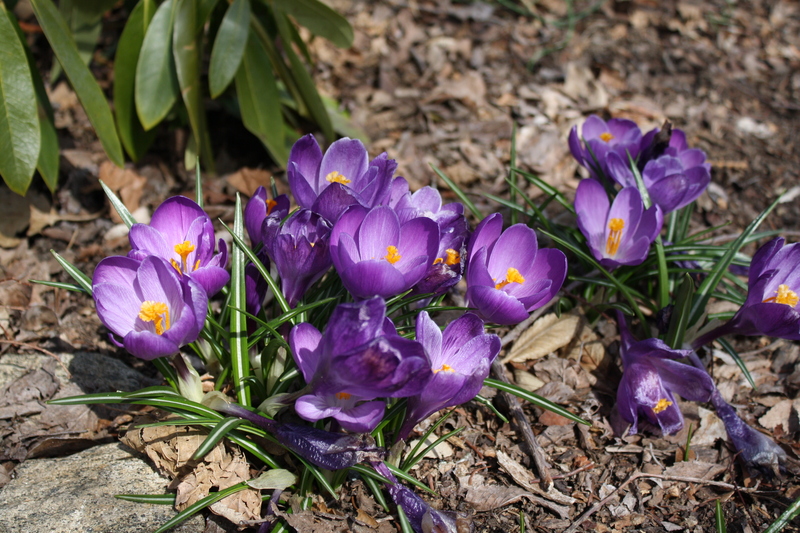 All the earliest bulbs and flowers would be growing there, encouraged to rise and bloom for springtime cheer. Being so close to the Atlantic Ocean and Narragansett Bay, springtime here is cold. The water temperature warms slowly, leaving a chill in the air as our March and April breezes pass over the water. (Of course, the flip side to that is a long warm autumn, September days at the beach with just us year-round residents, and tomatoes holding on til October…) After last year’s “non-winter” and early spring, this year Old Man Winter seems to be hanging around for an extra long stay. 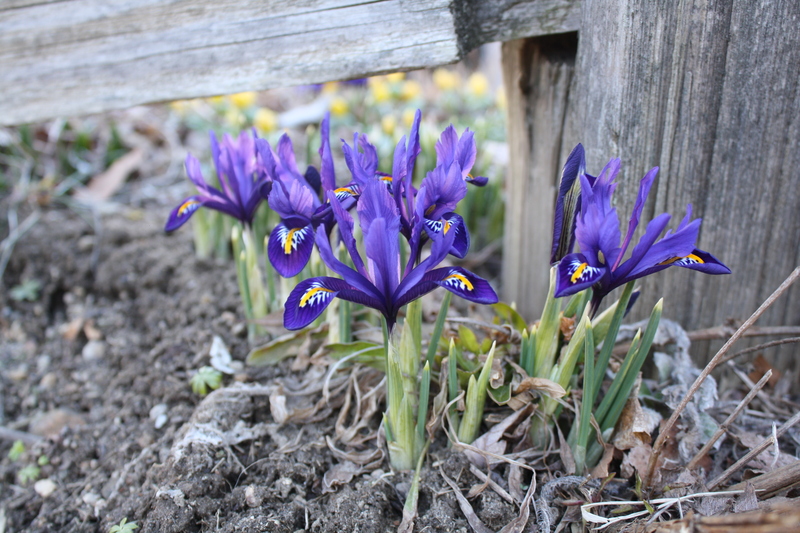 Back to my early spring garden: It would be full of crocuses and snowdrops, witch hazels and hellebores, tiny dwarf irises, winter aconite, and the earliest daffodils. All these beautiful flowers are here at the Botanical Gardens, but not all together in my imaginary garden. They are scattered about, each creating a tiny spot of color in a landscape just beginning to awaken from winter. 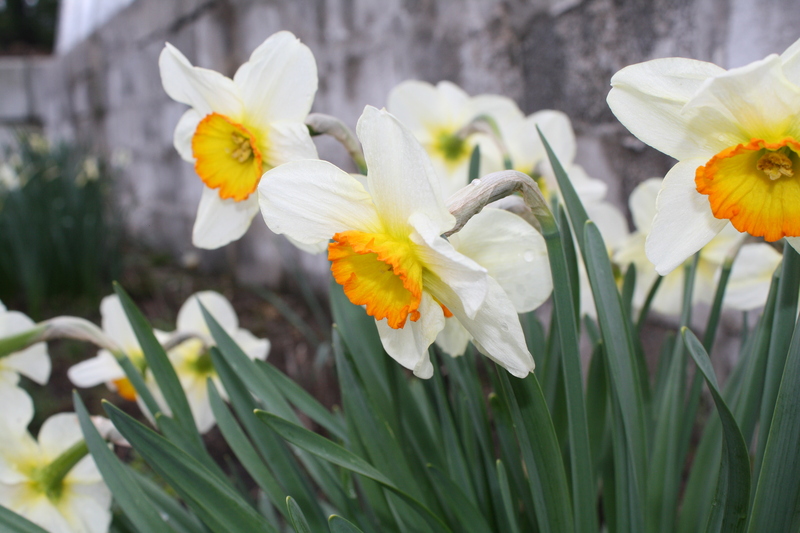 Walk through the garden and welcome them, and welcome spring. 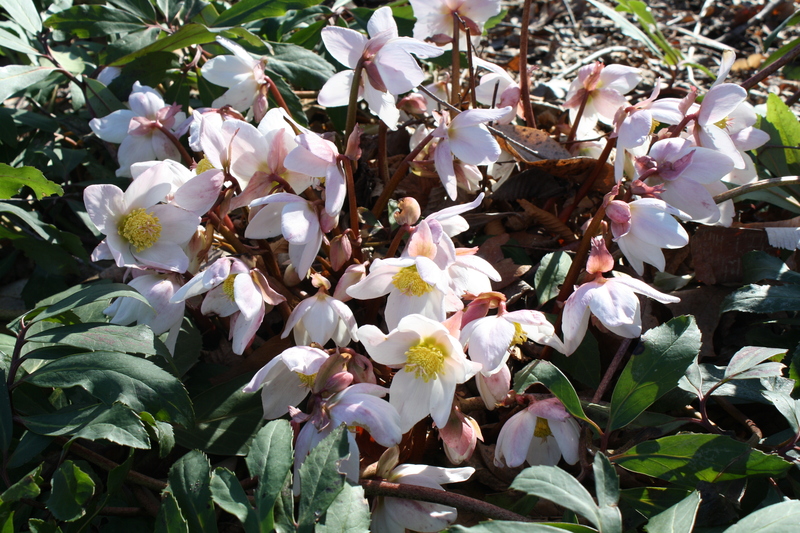 This entry was posted in Botanical Gardens, Gardening, Photography, Plants, Uncategorized and tagged early flowers, gardens, Spring, stone, weather on March 27, 2013 by uribg. WordPress.com is a WYSIWYG blogging format, with options for code. It’s very simple. Good Luck! Great web site. A lot of useful info here. I’m sending it to several friends ans also sharing in delicious. And obviously, thanks to your sweat!